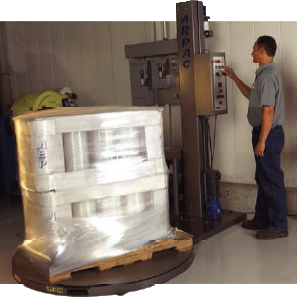 The Belson Company is a full-service supplier for the best rated packaging equipment: 3M-Malic case sealers, Arpac stretch wrappers, Shrinktech and Clamco shrink wrap and bundling equipment and Orgapack and Fromm strapping equipment. We know our customers need the added assurance and peace of mind that their packaging operations can be depended upon! That's why we have factory-trained service technicians that will service the many different brands of equipment we sell both during planned and unplanned maintenance tasks. Belson provides customized maintenance agreements that are designed to prevent equipment issues before they become problems. This program has many benefits that will save you time and money by decreasing chances of downtime increasing the life and safety of the equipment and increasing production levels.